Beat cream cheese with mixer until smooth, about one minute. Add sugar gradually while maintaining mixing. Scrape down sides of bowl. Slowly add beaten eggs, blending well. Add vanilla extract & mix thoroughly. 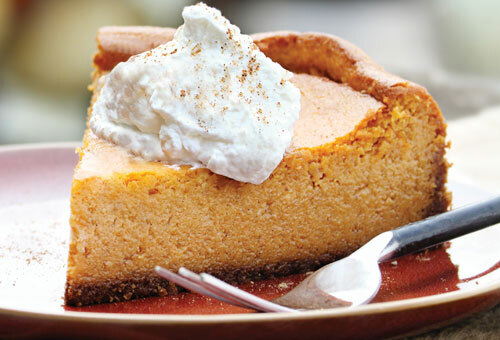 Pour batter into prepared graham cracker crust. Bake at 350° F for 40 minutes. If cheesecake browns too quickly while baking, tent aluminum foil loosely over the top. Test with toothpick until it comes out clean. Turn off oven & let cheesecake sit inside oven for 15–20 minutes. Cool completely, then refrigerate. *Cream cheese flavor available only for a limited time.